Brandon is one of the founders of New Vision Projects. He gained a love for woodworking when he was just 4 years old, making birdhouses and picture frames in his Grandfather’s shop. “It was from him that I learned the use of basic hand tools and patience if something didn’t work correctly. “He would always insist that I finish my small projects and that they weren’t finished until they were done correctly,” says Smith about his Grandfather. As time went on, Brandon kept building. From sheds in high-school, to houses and high-rises, he felt a desire to gain experience in building. 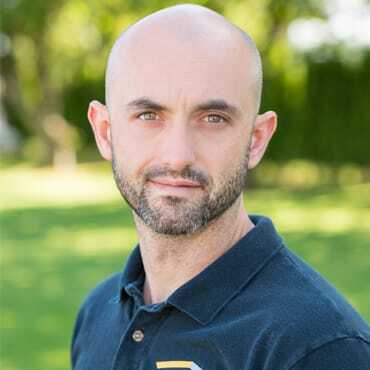 After obtaining his Red Seal certification and completing his carpentry apprenticeship, he has continued his education in construction management at BCIT. After gaining much experience in both commercial and residential settings, it was time to build something else- a new business. After consulting with long-time friend, fellow entrepreneur, and tradesman Danny Christian, New Vision Projects Inc. was born.